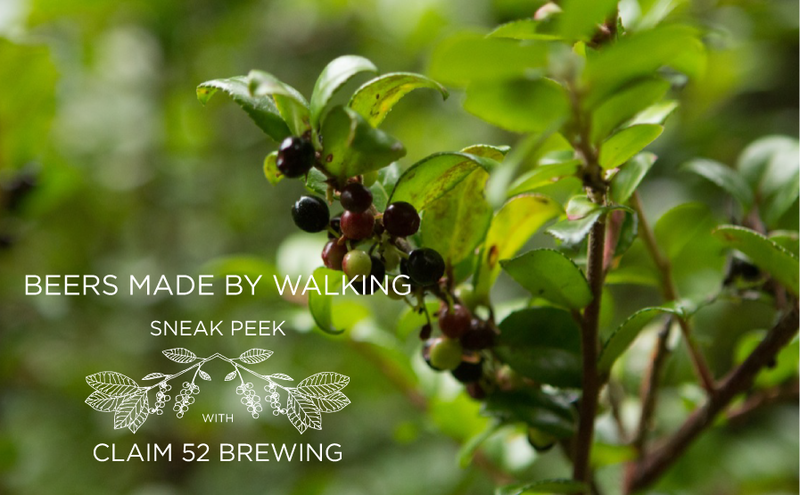 Today we continue our series of sneak peeks for the Oregon Beers Made By Walking tapping. 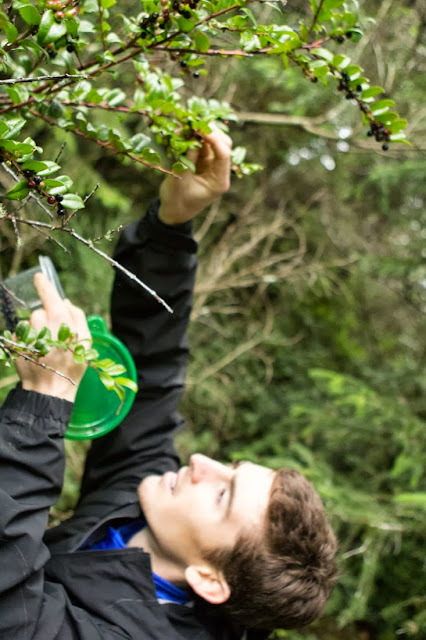 If you're unfamiliar with how Beers Made By Walking works, here's a little recap - We invite brewers to go on nature walks and make new beer inspired by edible plants they find on the trail. Each beer becomes a drinkable look into the specific place that inspired it's creation. 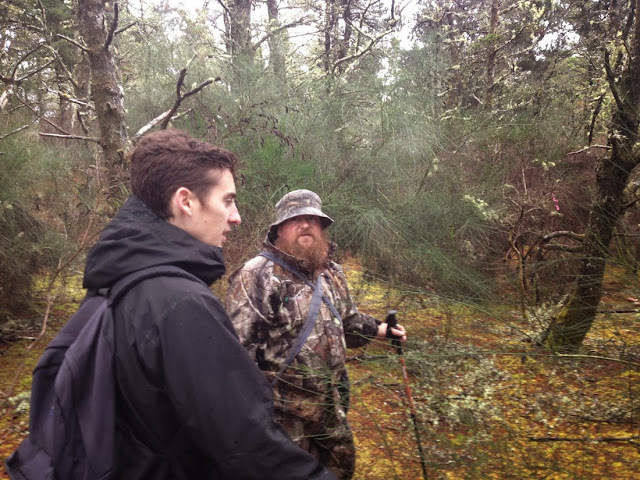 Our last preview featured Standing Stone Brewing, their hike in Ashland, and information about their beer, which will have Saint John's Wort and Yarrow. For this preview, we'll head north on I-5 to Eugene's Claim 52 Brewing. Claim 52 is one of Oregon's newest breweries, they operate a small 3.5bbl brewhouse so they are able to test out experimental batches of beer on a regular basis. The beer they made for the BMBW program is super exciting and outlandish in a great way. Read more about it below, and look for the beer on tap at our ten-brewery BMBW event at Belmont Station, in Portland, on October 26. It will also be available in Eugene, at 16 Tons, on a November date that is TBA. 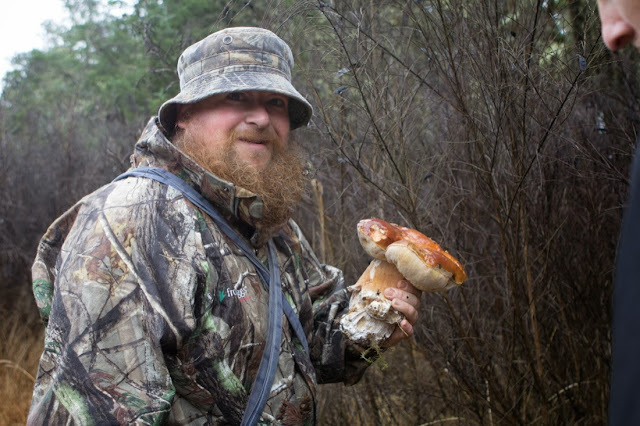 We realized that we were almost in the perfect time period for mushroom picking, and luckily Claim 52‘s AJ McGarry had a great reference to some excellent hikes and mushroom trails. 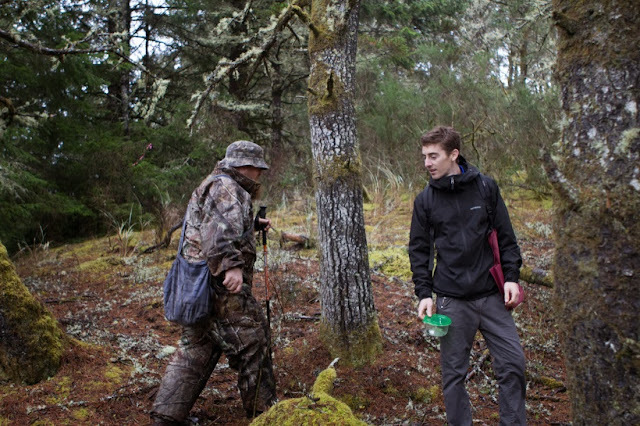 Matthew Kilger, a fellow Eugenian and proprietor of Eating Oregon, was heading to the coast for the weekend. We spoke with Matthew about the Beers Made By Walking program that we were participating in and he, being a fellow home-brewer, was very kind and allowed us to tag along through some of his coveted trails. A beautiful porcini mushroom discovered on the trail. We were inspired by the ocean and being on the coast, and we wanted to incorporate salt into our brew. To honor Matthew's role in our adventure, we thought to incorporate mushrooms somewhere, but were kind of skeptical of the mushroom qualities in a Gose. So we decided to find a Porcini-flavored salt and serve it on the side in Gose-tradition and our tasters could doctor up the beer to their liking. They also decided to add yarrow root to the beer, which is an herbal plant with many medicinal uses. 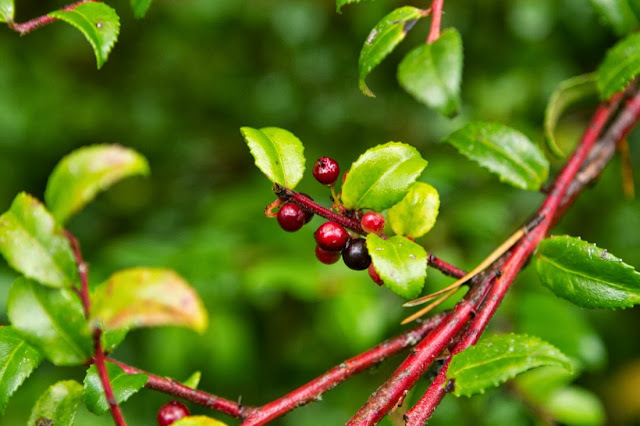 It's often used in gruits as a bittering agent instead of hops. Read below for the full description. Claim 52's beer is named "Gose Coastal" and is a Northwest take on the old German beer style originating from Leipzig. It's an unfiltered wheat beer that is touched up with salt & coriander, racked onto Oregon huckleberries and served with a side of Porcini salt. That sounds really exciting to us, we're not only looking forward to these non-traditional ingredients, but also in trying Claim 52 in Portland for the first time. The beer was made specially for the Beers Made By Walking program and will be available, along with nine other Oregon beers, at Belmont Station in Portland on October 26th, and in Eugene at 16 Tons on a date in November that is TBA. We are also happy to announce that a part of the proceeds from the Portland event will go to benefit the wonderful Oregon Walks organization. We'll also post a few more sneak peeks in the coming days. Stay tuned by subscribing via email, and joining our Facebook page. All photos credited to AJ McGarry.